Daimler will spend about 100 million euros (US$125 million) in coming years to increase production of lithium-ion battery packs in eastern Germany. The German automaker said on Monday it will expand capacity at Deutsche ACCUmotive, its battery-making division in Saxony as it expects "high and steadily-growing demand" for electric-car batteries. 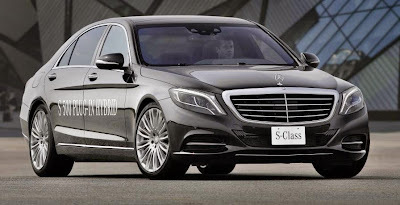 The unit supplies batteries for the luxury Mercedes division's hybrid S-Class, E-Class and C-Class models, Daimler said. Steps to increase battery output tie in with Daimler's plans announced last month to phase out production of lithium-ion battery cells at its second Saxony-based Li-Tec division by the end of 2015. Daimler aims to employ the bulk of Li-Tec's 250 workers at Deutsche ACCUmotive. The Stuttgart-based manufacturer in future plans to buy battery cells from LG Chem. Asian makers of battery cells such as Samsung, Panasonic and LG Chem are producing the cells at lower costs, reaping benefits from scale effects as they're also serving non-automotive industries, analysts said.